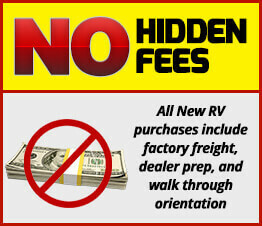 At A.C. Nelsen RV World, we pride ourselves on providing the most knowledgeable and highest level of customer support. If you have visited our Sales, Parts or Service centers, made a purchase, or had RV service work performed, we want to hear from you. We also love hearing about your travels and adventures and the memories you're making in your RV. Click Here to access our Feedback form and share your experiences with us. Quality and courteous service from technician! Sorry this acknowledgement is slow being sent, but I wanted to recognize one of your service technician's, Fernando. About a month ago, I called and spoke with Fernando regarding some issues that came up on my 2012 14' Clipper TT I purchased from AC Nelson 3 years ago. I was impressed by his knowledge and how courteous he was over the phone. I honestly called with the expectation that it would be suggested I bring my unit in to be looked at, which was not an option, as I live several hours away. To my surprise, Fernando walked me through all the possibilities that could be causing the furnace fan to run when unit was plugged in in spite of it being turned off. Fortunately, the fix was easy with the purchase of a new battery. Thank you Fernando, for your assistance and sharing your knowledge! Chris is very knowledgeable and was very helpful when we bought our new Patriot. She knew what our truck could handle and she pointed us to appropriate trailers-- that was a BIG safety issue for us. Although we purchased a smaller, less-extravagant travel trailer, we were treated like we were spending one hundred thousand dollars. This was the first major purchase in our lives that was brand-new (a really big deal to us) and they ALL treated us like their favorite customers in the world. The guys in the shop did more than the usual prep work for us (because we're newbies) and seriously wanted everything just right. Their experienced staff went over every detail of our new camper and gave us lots of great tips and suggestions. My wife and I were very pleased. The people at the Shakopee location are the best anywhere. I would not go anywhere else! Thank you, Bill, Tom, Craig, Paul, Ian, and everyone else! BJ Boston is the best!